The Japan Foundation, Jakarta is sincerely grateful for the support and the attendance of Sahabat JF on “Japanese Film Festival 2016” held on November 24-27, 2016 at Cinemaxx and fX Sudirman, Jakarta. We are thankful to all of our sponsors, media partners, radio partners, guest stars, booth tenants, and communities in supporting Japanese Film Festival 2016. 1. Embassy of Japan in Indonesia 在インドネシア日本国大使館, Chelsea Islan, Amuse Inc. Asia, Hiroaki Kato. 3. Festival partners: Kosupurei Jakarta, HIMAJA FIB UI, Onigiri Futago, Pan-Ya Indonesia, Tokyo Nail Collection, Pemprov DKI Jakarta, Kinkara Indonesia, Softbank Telecom Indonesia, Aptown Hair Frontier, Anthony Bachtiar. 4. Media partners: WAKUWAKU JAPAN, Elex Media, Gramedia Pustaka Utama, AllFilm Magz, Zora Radio, Lifenesia, The Daily Jakarta Shimbun, Akiba Nation, Carafun, Doki-doki Station, KAORI Nusantara, Ke Jepang Yuk, Livelife. 6. Volunteers of JFF2016, journalists, bloggers, and many more. 7. 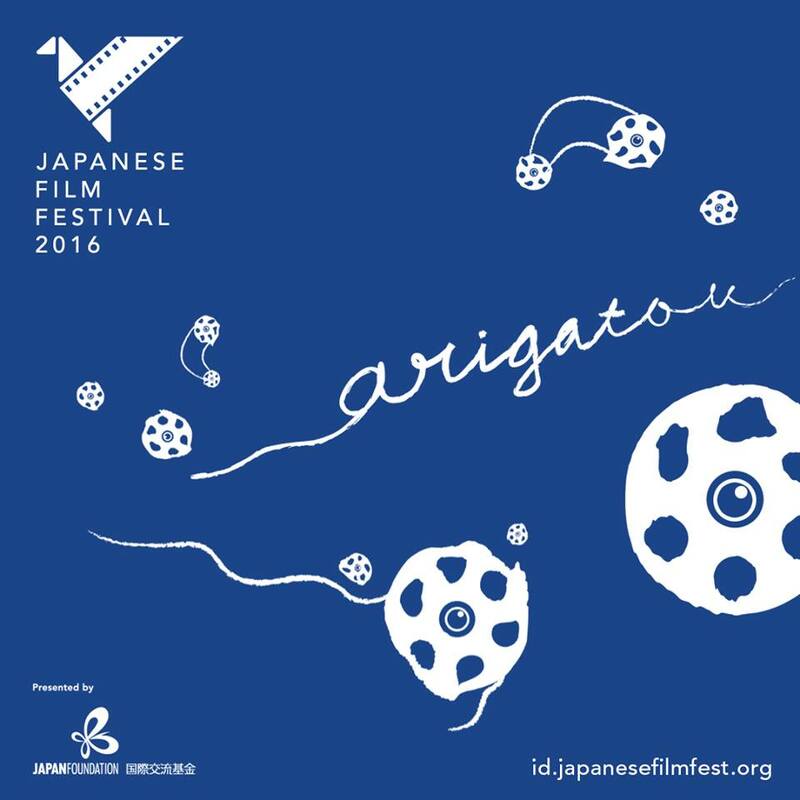 Last but not least, we are thankful to the audiences who spared their time to watch and join the festive of Japanese Film Festival 2016. Thank you very much. We apologize for our shortcomings during the festival. See you again on “Japanese Film Festival” next year!